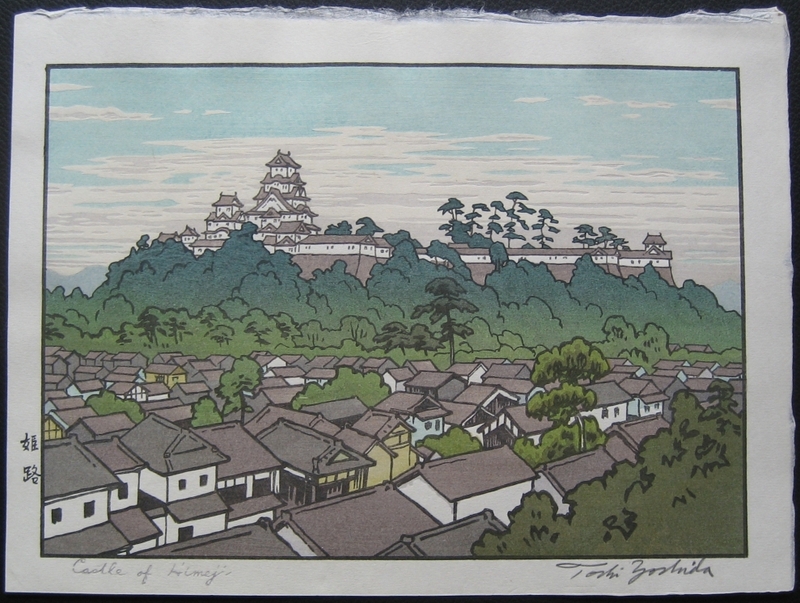 Description: Woodblock print showing a village in the forground and the Castle at Himeji in the distance. Part of a set of prints produced to demonstrate the woodblock printing process. To see the full set visit Castle of Himeji Woodblock Set.